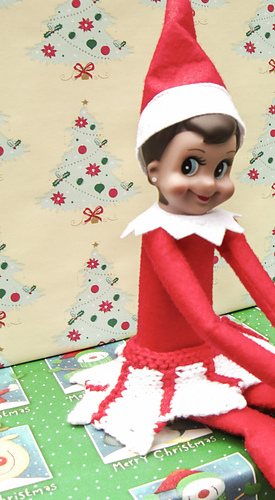 Every elf needs a skirt. This skirt is knit from side to side and uses short rows to create the tiered effect. You can use any colours you like for this skirt, as many or as little as you like as the skirt it worked continuously in pattern until it reaches the desired length (or circumference of the doll). 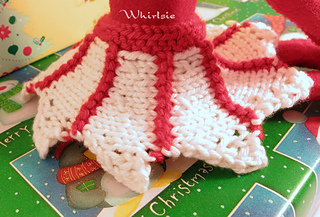 Available with the Elf Skirt. 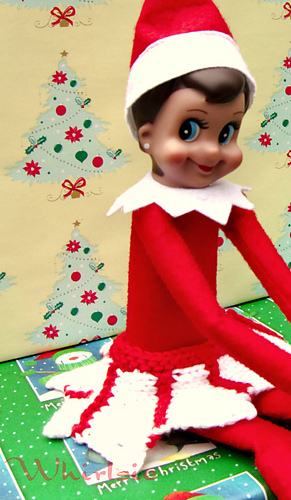 Can fit an Elf on the Shelf, a Barbie doll or make to measure. From waist to tip is 6.5cm or 2.5 inches. You will also need a small amount of shirring or knitting elastic. Intermediate - you will need to know how to work short rows and pick up stitches. The copyright of this pattern remains with the author – Leeana Gardiner. 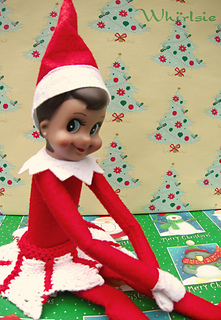 It is not associated with Elf on the Shelf or Barbie, these are used as common terms. It is intended for personal use only and is not to be shared with others. Please direct your friends to purchase their own copy! If you are personally hand knitting items, you are welcome to do what you wish with your finished items, whether that be sell, gift or donate. Please do not claim the design to be your own. By purchasing this pattern, you are agreeing to these terms.